London, ON, –Jessica’s House received more support from the business community today. A $100,000 donation from Lerners LLP has been given to support the building project “It is a universal understanding that people in a modern society need a comprehensive program of palliative care services. Lerners LLP recognizes the value of being able to offer this service in Huron County,” said Maria Hamather, Co-Chair of the Steering Committee. 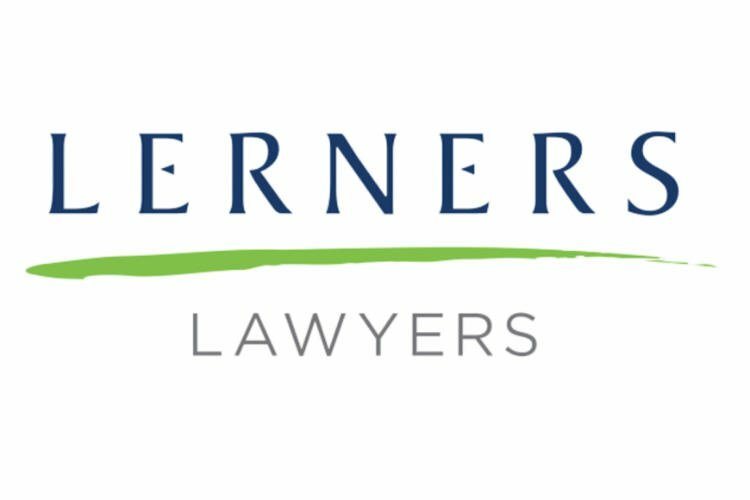 Lerners is one of Ontario’s leading law firms, with more than 120 skilled lawyers practicing in offices in London and Toronto. The firm, founded in 1929, now has more than eighty-eight years of successful client service and representation. “It is impressive that, once again, we are being supported by the business community. We feel truly encouraged by Lerners’ commitment to enhance healthcare in our community. Jessica’s House is receiving regional recognition and we feel that these companies deserve special acknowledgement,” said Hamather. Lerners’ donation to Jessica’s House is in support of the construction of Huron County’s first residential hospice. The Southwest Local Health Integration Network (LHIN), in a capacity report on palliative and hospice care, identified Huron County as having an issue with lack of access to residential hospice beds. With an aging population and a rise in the incidence of advanced illness, residents of Huron County deserve to access support and treatments that will provide them with comfort and dignity at the end of life. In addition, the supportive care centre will offer the community access to resources, medical and emotional support from the time of diagnosis of a life-threatening illness, at the end of life and afterwards. The campaign currently has a $3 million capital campaign underway to build a freestanding in-patient hospice residence and a supportive care centre for area residents. In one year, the Campaign through the South Huron Hospital Foundation has already raised more than $2 million. The campaign for Jessica’s House continues to appeal to leaders who live and work in our community, and beyond, to help it reach a target of $3 million. Jessica’s House is Huron County’s first proposed residential hospice created in honour of 22-year-old Jessica Hamather. The plan includes construction of Jessica’s House, a three-bed residential hospice with the capacity to be expanded to six beds and a Centre of Excellence in Palliative Care, situated in the Municipality of South Huron in the town of Exeter.